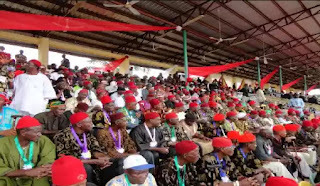 Ohanaeze Ndigbo has said it will submit its worries, agitations and marginalization to God during the 2017 Igbo Day celebration. Chairman of the National Organising Committee of the 2017 Igbo Day celebration, Dr. Greg Ibe, made this known during a World Press briefing at Enugu, yesterday, when the committee released the timetable for the celebration. He said that Ndigbo had at all times believed in God’s superintendence in their affairs and urged the Igbo not to lose faith in God in their tribulations in Nigeria. Ibe, therefore, urged the Igbo people in all parts of the world to use the one week 2017 Igbo Day celebration to rededicate their worries to the Almighty. He said: “Our prayer points are numerous. It ranges from justice, peace, equity and all that will bring us in total belonging to this country called Nigeria. 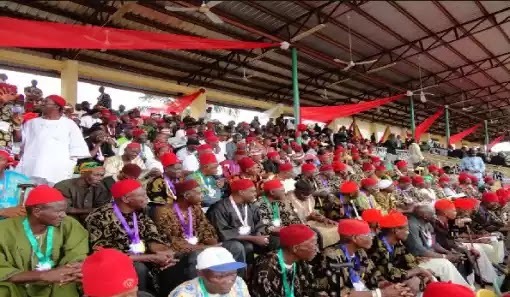 “Against the backdrop of the current challenges of Ndigbo and as a way of seeking divine solutions to these problems, Ohanaeze Ndigbo has decided to use the annual Igbo Day celebration for 2017 to mobilise Igbo across the globe to pray and seek the face of God for Nigeria and Ndigbo in particular.